The phenomenal Chinese drama Story of Yanxi Palace borrows lustre from a series of intangible cultural heritage crafts such as Chinese traditional embroidery, Kunqu Opera, Kesi (silk), Ronghua (crafted velvet flowers) and so forth, which MGM is now displaying for public appreciation. Thus, MGM Cotai has launched the 'Explore the Beauty of Chinese Embroidery' programme, featuring a series of events such as art tours, costume exhibition and art symposium (the symposium ended in November) until 31st December, bringing magnificent art and cultural experiences to residents and visitors. Silk and metal-thread carpets have consistently served as essential decorations in the Forbidden City in Beijing since the Qing Dynasty (1644 - 1911). Today, only 300 Chinese imperial carpets are known to exist in public and private collections around the world, of which 28 are currently displayed in MGM Cotai. 'Art Tour of the Imperial Carpets' allows guests to appreciate the exquisite craftsmanship and learn about the historic symbolism behind such precious collections as well as the artistry showcased by the Story of Yanxi Palace drama series, glimpsing the lifestyle of the ancient Chinese Imperials. During the art tour period, MGM has also specially launched Qianlong Emperor's favorite imperial dim sums, pairing them with a selection of Chinese tea in the Imperial Court in MGM Macau and Chun in MGM Cotai. 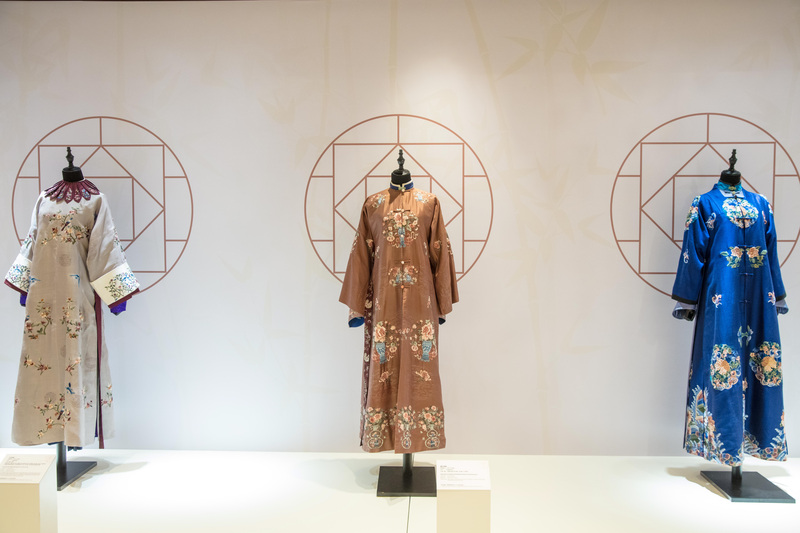 In addition, the intricate costumes and accessories of the Story of Yanxi Palace - a selection of Kunqu Opera costumes - will be exhibited for the very first time in Macao, proclaiming the delicacy of Chinese traditional embroidery art to exhibition-goers in the 'Ancient Costume Exhibition'. 'Art Tour of the Imperial Carpets' will be held from now to 31st December, with four tours on Mondays to Thursdays (12:00 noon, 2:00 pm, 4:00 pm and 6:00 pm) and six tours on Fridays to Sundays (10:30am, 12:00 noon, 1:30pm, 3:00pm, 4:30pm and 6:00pm), each lasting approximately 45 minutes, available in three languages (Mandarin, Cantonese and English), with free admission. The 'Ancient Costume Exhibition' will be held from now to 9th December, 11:00 am to 8:00 pm on weekdays, and from 10:00 am to 9:00 pm on Saturdays and Sundays, with admission to the exhibition MOP50 (Free admission for children aged 2 and under). All the aforementioned events will be held in MGM Cotai's Emerald Lobby. For more information, please visit: www.mgm.mo.